In a move that might impact major drug makers such as Ranbaxy, Cipla, Cadila Health, and Lupin, the National Pharmaceutical Pricing Authority (NPPA) has capped the prices of 19 medicines and their 43 different drug packs, including anti-infectives, gastro-intestinal drugs and vaccines. Among multinational companies, Pfizer, Sanofi and Reckitt Benckiser are likely to take a hit. NPPA has notified the ceiling price of these products under the Drugs Price Control Order, 2013. 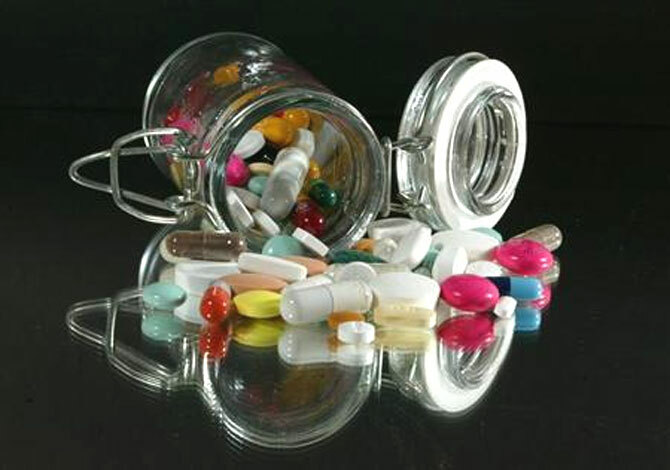 In the absence of data, the regulator could not cap the prices of all 348 essential medicines. While the prices of some 300 products have been fixed, NPPA has asked the pharma sector for price details on the others. The latest tranche of price control includes key medicines such as ciprofloxacin, cefotaxime, BCG vaccine and rifampicin. With the new notification in place, popular medicine brands such as Pfizer's Gelusil, Serum's BCG vaccine and USV's Glycomet have come under price control. The hardest hit comes from the fixing of two different doses of ciprofloxacin - 500 mg and 250 mg.
All major drug makers including Alkem, Ranbaxy, Dr Reddy's Labs, Lupin, Mankind and Cadila, sell different brands of ciprofloxacin. According to data from the All India Organisation of Chemists & Druggists, sales of the new product basket worth Rs 450 crore, to now come under the price control, are likely to be impacted by about 40 per cent. Companies selling these products at a price lower than the ceiling will have to continue with existing prices. For any changes, such firms will be required to seek separate permission from the regulator. Currently, the government directly caps prices of 348 formulations at the average price of all medicines in a particular segment with at least one per cent market share. For all other medicines, companies are free to price their products but they cannot increase the prices of such medicines by more than 10 per cent in a year. Recently, the NPPA had brought all diabetes and cardiac medicines under indirect price control. The regulator issued orders in the public interest, saying any diabetes or cardiac drug priced at more than 25 per cent of the average price of the scheduled drug in that category would fall under the ceiling and its price capped. The regulator is likely to extend the move to other categories, such as oncology, soon.